Doran's Echo and Trouble Brewing were slow to begin. Succession Plan and Blue Odessa collided soon after the start checking Succession Plan. Vanderville faltered approaching the home turn checking Succession Plan and Blue Odessa causing Vanderville to tail off as a result. Monkey Mite and Doran's Echo collided on the home turn causing Monkey Mite to raced wide as a result. Vanderville was vetted follow the event. It was reported that the greyhound sustained a fractured right hock. A stand down period of 90 days was imposed. Satisfactory Trial Results (GAR 77A) - Stewards spoke to Mr S.Stefanos, the trainer of Nitro Nicole regarding the length of time since the greyhound last raced. Nitro Nicole last raced on 28th June 2018. Mr Stefanos stated that the greyhound was resuming racing after being seasonal. Pursuant to GAR 77A, Nitro Nicole trialled over the 390m from box 1, weight 30.0 kg, the greyhound was placed 2nd in a field of 4 starters. The time of the trial was 22.90, the greyhound was beaten by a margin of 3L. Nitro Nicole was cleared. Satisfactory Trial Results (stayed in the boxes) - Golden Moon trialled over the 390m from box 2, weight 27.5kg, the greyhound was placed 4th in a field of 4 starters. The time of the trial was 22.90, the greyhound was beaten by a margin of 10L. Golden Nitro was cleared. Satisfactory Trial Results (GAR 77A) - Stewards spoke to Mr Vince Mileto, the trainer of My Names Chelsea regarding the length of time since the greyhound last raced. My Names Chelsea last raced on 8th September 2018. 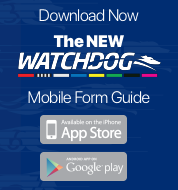 Mr Mileto stated that the greyhound was resuming racing after being seasonal. Pursuant to GAR 77A, My Names Chelsea trialled over the 390m from box 8, weight 30.5kg, the greyhound was placed 1st in a field of 4 starters. The time of the trial was 22.90, the greyhound won by a margin of 3L. My Names Chelsea was cleared. 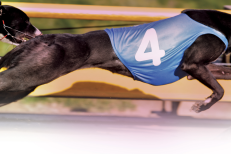 Satisfactory Trial Results - Manila Mist trialled over the 390m from box 1, weight 25.0kg, the greyhound was placed 3rd in a field of 4 starters. The time of the trial was 22.35, the greyhound was beaten by a margin of 3.75L. Manila Mist was cleared. Satisfactory Trial Results (GAR 77A) - Stewards spoke to Ms Pia Triaca, the trainer of Pizza Shop regarding the length of time since the greyhound last raced. Pizza Shop last raced on 22nd January 2018. Ms Triaca stated that the greyhound was resuming racing after a change of kennels. Pursuant to GAR 77A, Pizza Shop trialled over the 390m from box 3, weight 28.5kg, the greyhound was placed 1st in a field of 4 starters. The time of the trial was 22.35, the greyhound won by a margin of 3L. Pizza Shop was cleared. Satisfactory Trial Results - Maxi Fozz trialled over the 390m from box 8, weight 31.1kg, the greyhound was placed 4th in a field of 4 starters. The time of the trial was 22.35, the greyhound tailed off. Maxi Fozz was not cleared. Maxi Fozz was vetted following the trial and no apparent injury was found.